A pre-authorization will be placed on your credit or debit card when you submit your order, the payment will be processed when the order ships. Log in to your account HERE to review your orders. You may compare your order history on our website, with your financial records. If you have further questions or concerns, please contact our Customer Service Team at customerservice@hayabusafightwear.com for further assistance. Orders generally process and ship in 1-2 business days, excluding weekends and holidays. Delivery can vary based on location and shipping option chosen. For time sensitive orders, please contact our Customer Service Team by phone at 1-888-776-1662 or email customerservice@hayabusafightwear.com. Occasionally, there may be more information required from you before we can ship an order, this may be related to the shipping address or payment method provided. If this is the case, we will contact you as soon as possible to acquire the information. Please access your order confirmation email and select 'view my order'. The tracking number(s) to your order appear once the product is en route. If you have further questions or concerns, please contact our Customer Service Team at customerservice@hayabusafightwear.com for further assistance. Please check all packing materials to make sure the item was not overlooked. If you are unable to locate the missing item, contact our Customer Service Team by phone at 1-888-776-1662 or email customerservice@hayabusafightwear.com. Please have your order number ready in order to help us locate your order quickly. Confirm the tracking of your shipment with the carrier to confirm that your package(s) was delivered. If your tracking indicates the package was delivered but you are not in possession of it, please contact our Customer Service Team at customerservice@hayabusafightwear.com for further assistance. We calculate and collect sales tax for orders where applicable. All orders placed on our Canadian site ships from our warehouse in Kingston, Ontario. HOW LONG DOES HIPPING TAKE? 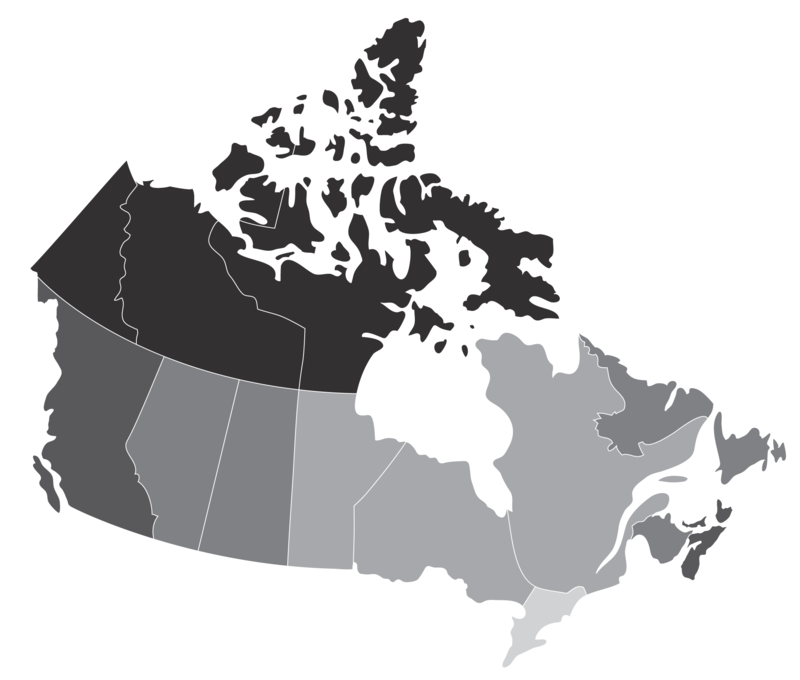 We currently ship to all of Canada. Visit the LOGIN page, and fill out the section under "Forgot your password? ", an email password reset link will be sent to you. If you continue to have trouble, contact our Customer Service Team at by phone at 1-888-776-1662 or email customerservice@hayabusafightwear.com and after answering the verification questions, they will provide you with the new login information. PunchLab is a mobile App that detects, measures, and reacts to the strikes you throw at the punching bag. The App does not need any additional device, other than your smartphone. Just secure your phone on the punching bag using your PuchLab Belt and get real-time feedback on your workout. How do I get it? What does it come with? You can get a free PunchLab Kit when you buy any pair of gloves at Haybusa.com or Hayabusa.ca. Alternatively, you can buy the PunchLab Bag Belt on its own and receive the same kit package. Our PunchLab Kit comes with a PunchLab Heavy Bag Belt and a free 3-month trial to the PunchLab App. How do I redeem my 3-Month Trial? To claim your 3-month trial with PunchLab, you first need to pick up a pair of gloves or the Heavy Bag Belt itself from Hayabusafight.com/ca. You will then receive an email with instructions to redeem your 3-month trial. You can get ahead by creating your account now, and downloading the PunchLab App. Are all punching bags supported? The app works with virtually any kind of punching bag, but the belt was designed for cylindrical hanging and standing bags with a diameter ranging between 60 and 120 cm. These are the most common models you can find in the stores and gyms. I’ve got my PunchLab Belt, now what? Make sure you’ve downloaded the PunchLab App. Wrap your belt around the bag, above your head level. Test the strap clip. Make sure it’s secure. Get started! It’s okay to hit below the best this time. Can I use the App without the Belt? No. The App was intended to be used with a belt; its features were built to analyze a heavy bag, then provide you with valuable information based on the feedback generated from the impacts on the bag. Does PunchLab work with kicks as well? Kicks, knees, elbows: PunchLab records and analyzes any strike you throw at your heavy bag. Where do I position my Belt on the heavy bag? Once you secure your belt on the heavy bag, move it upwards, so it’s either at your head level or above so it’s out of your punch zone. What if I punch my phone? There should be no reason you should be punching your phone if you followed the steps correctly. As long as you’ve calibrated your bag, the PunchLab App will be able to detect the caliber of your punches. You do NOT need to punch near your phone to have it detected. Do I need to be looking at the screen the whole time? No. Begin your workout and follow your routine without looking at the phone. Everything you do will still be recorded, and you’ll be able to see your results in-between rounds or after your training. What happens after my 3-Month free trial? After your 3-Month trial, your PunchLab membership will renew itself automatically. If you have your credit card information on file, then you will be charged to reinstate your membership for another 3-Months. You can remove your card information from your account at any time. To reinstate your membership, log-into the Punchlab App and purchase a membership package through your App store. Can I listen to music while I use PunchLab? Yes! This feature was requested by users and added to the App shortly after. We suggest using wireless headphones. I CAN’T “FIND MY GYM” ON THE MAP. 1. Your gym is not a Hayabusa partner. Go to 'Find My Gym' and click the 'SUGGEST A GYM' button to suggest your gym for our program. 2. Your gym is a Hayabusa partner but it is not listed. Please email customerservice@hayabusafightwear.com and let us know. CAN I SELL HAYABUSA PRODUCTS AT MY GYM? Yes, we have a special partnership program designed specially for gym owners. Click HERE and find out how you can start today. HOW DO I ORDER MORE CATALOGS, POSTERS AND COLLATERAL? HOW DO I BECOME AN AUTHORIZED HAYABUSA GYM PARTNER? To become a Gym partner, click HERE and provide us with your contact and gym information. One of our business development team members will reach out to you to learn more about your gym and speak in further detail about our program. WHAT ARE THE ADVANTAGES OF BEING A HAYABUSA GYM PARTNER? Get exclusive partner pricing while offering your members trusted Hayabusa products. To learn more and get started, click HERE. Yes, we are a proud supporter of a legion of athletes. Go to the sponsorship page HERE to learn how to apply to become a Hayabusa influencer. Influencers are those that love the Hayabusa brand. They sport it, talk about it, recommend it, and know all about it. They also have a strong following on social media, blogs and/or websites. If this sounds like you, you may be the perfect fit for our program. APPLY HERE.